If words could kill, what would they say?If looks could kill, who would they slay?Your psychoanalyst?A stunning young analyst-in-training keels over dead in front of three hundred guests at her Institute's annual conference. It looks like murder. But initial inquiries suggest she was liked by one and all: her teachers, supervisors, fellow-students, and even patients. 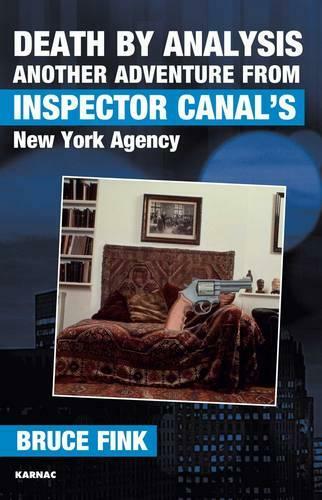 New York's finest are forced to call upon Inspector Canal, an allegedly former French secret serviceman now living in Manhattan (loosely based on the inimitable Parisian psychoanalyst, Jacques Lacan), to penetrate the calm demeanor of the dead woman's professional entourage.More daring than ever, changing identities and donning the most unlikely of disguises before, during, and even after a mad Halloween party, Canal feels his way through a minefield of denials and dissimulations, trying not to trigger any further detonations. As in his previous escapades, the Frenchman gets caught up in the misadventures of Eros while attempting to solve age-old and newer forms of crimes of the heart, grappling with the biggest mysteries of them all: love and death.